Note: StingRay is not affiliated with the Department of Defense or any Military Service. 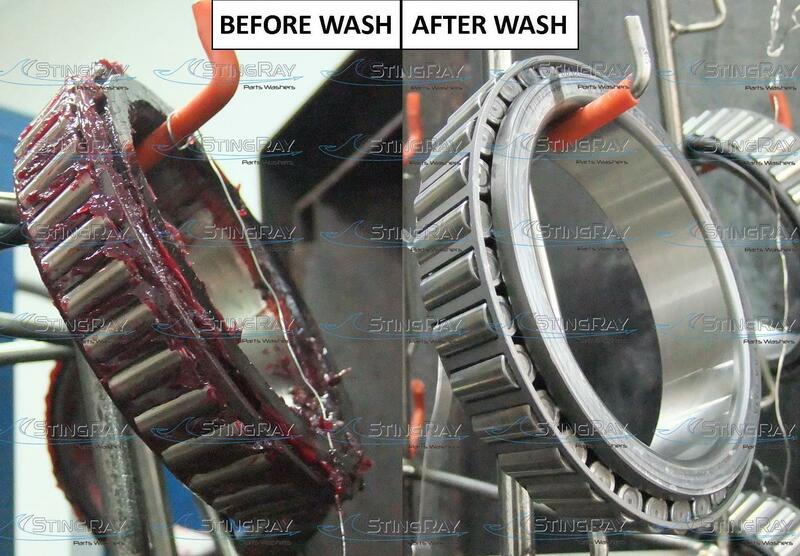 Today's Military Bases and Support Centers need a tough cleaning solution to the dirt, grease, oil and other contaminants that coat aircraft wheels, bearings, engine & diesel components and weaponry components. 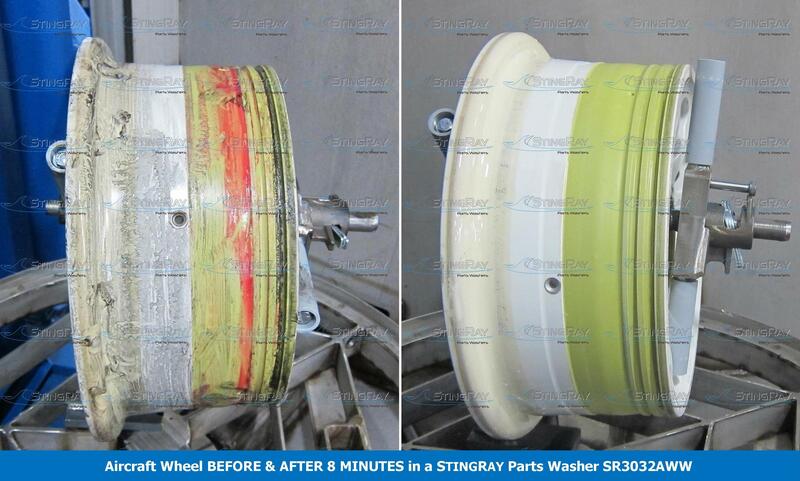 StingRay Parts Washer has your answers! ♦ Wastewater Processing Systems (MART EQ-1). 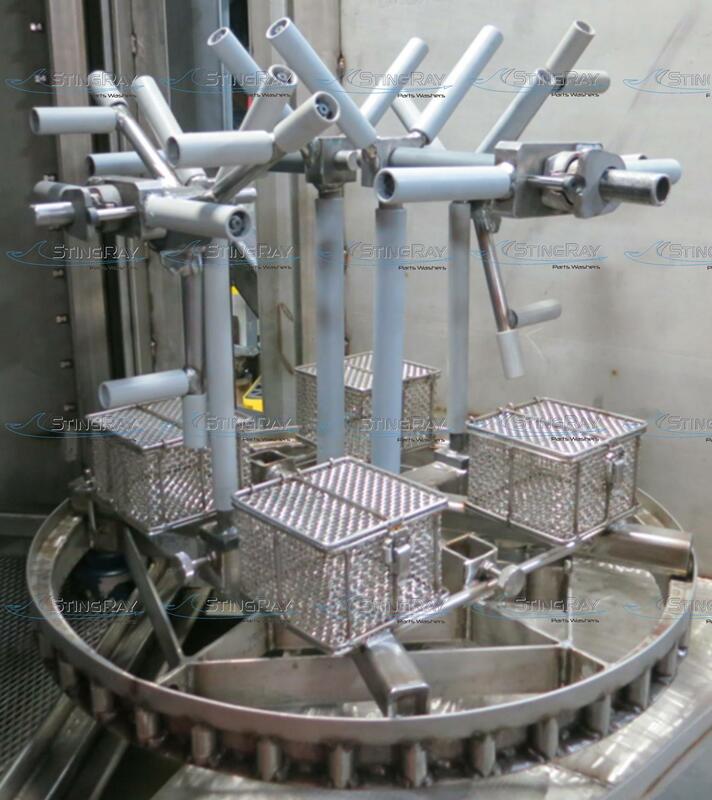 The full line of StingRay cabinet style parts washers provides cleaning systems configured specifically to your operational needs. Stingray’s extensive list of engineered options allows you to configure an exact system specific to your cleaning needs. There are 114 pre-engineered choices. Our application specialists guide you through each step. 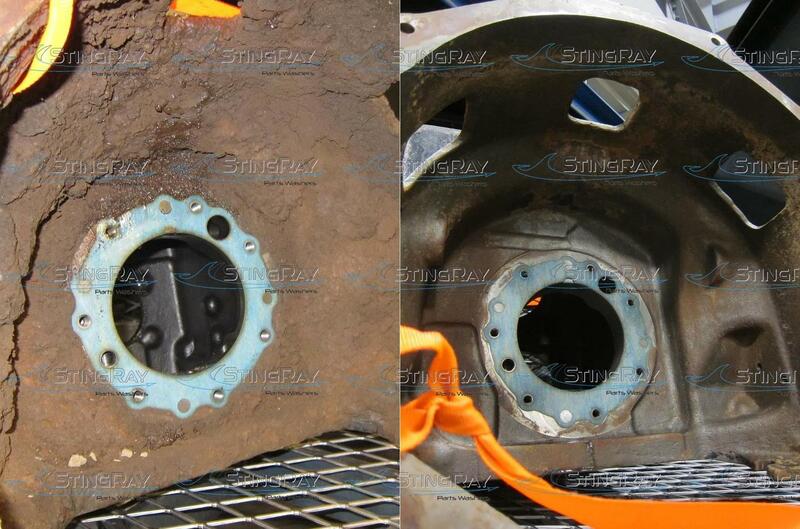 StingRay parts washers are environmentally friendly and safety conscious. 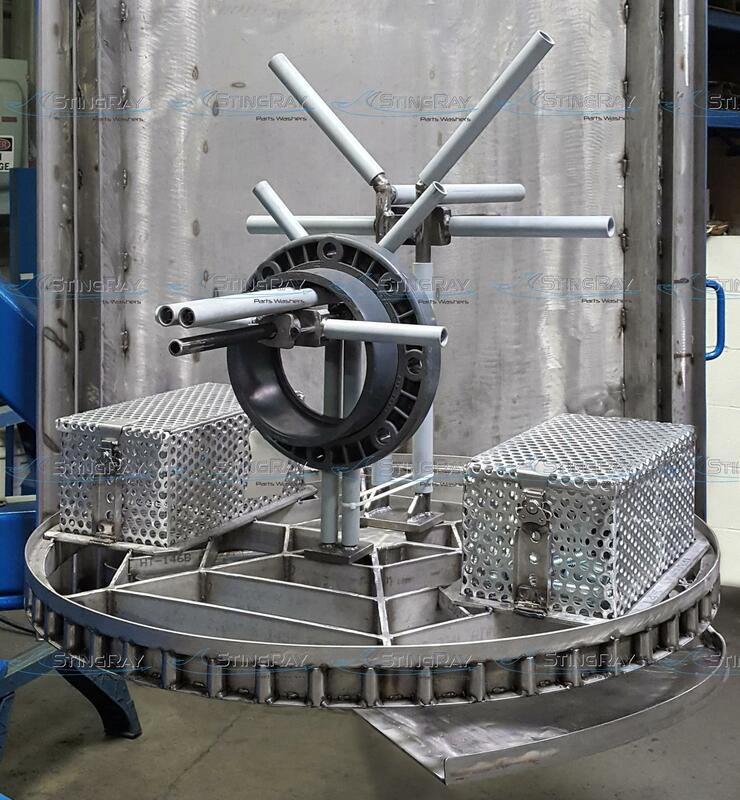 The swing out turntable puts the operator on the shop floor for loading and unloading of parts instead of leaning over a hot solution tank. 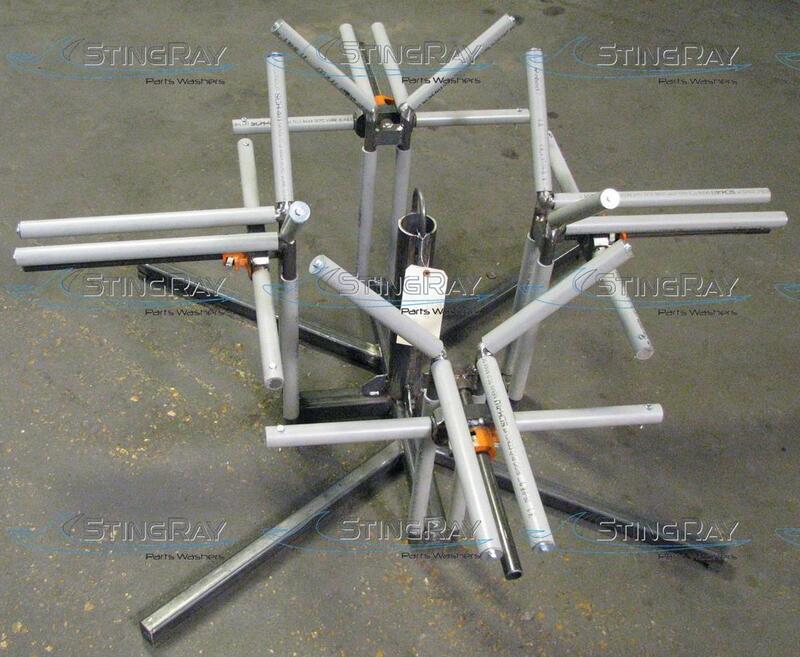 All StingRay machines conform to the National Electric code and US NFPA-79 electrical code for industrial machinery. Reliability, on time delivery and configured to your cleaning application is something not available through the GSA Advantage program. Let us help you get a StingRay. 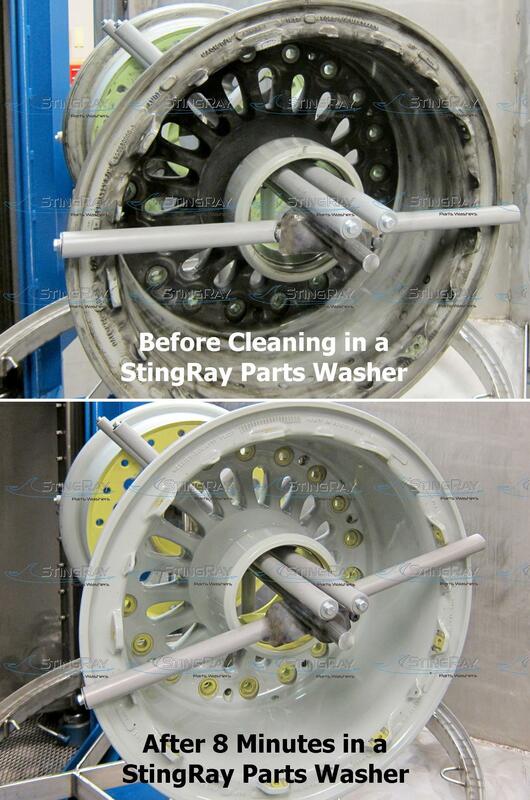 Kansas City Air National Guard is reporting they save $40,000 per year on Aircraft wheel bolts by cleaning them in their StingRay Parts Washer instead of scrapping them. Our expertise working with the US Government procurement process as a subcontractor through the 8(a) program or via open source contracts makes purchasing a StingRay easy. 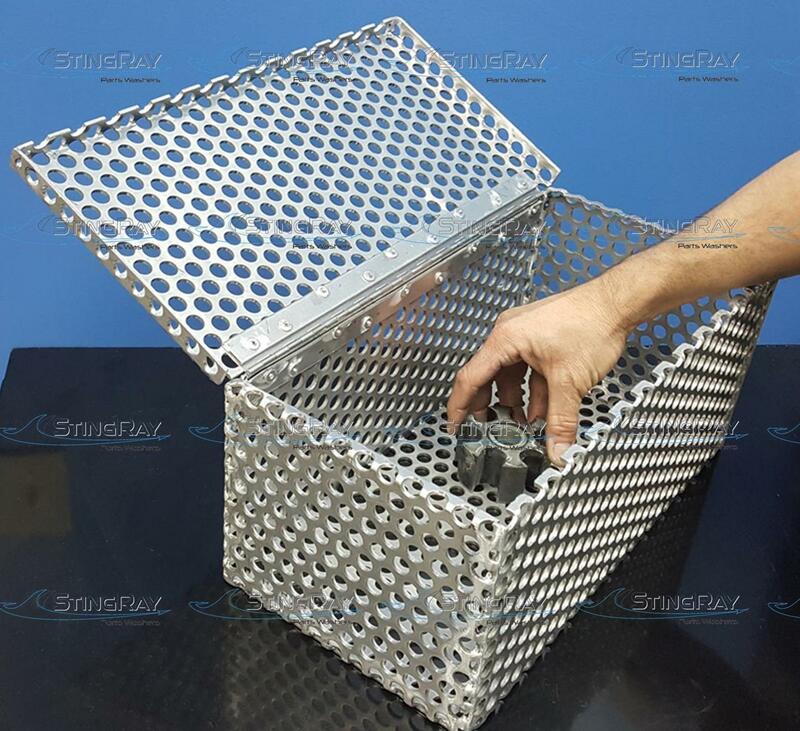 In many cases, StingRay is a sole-source subcontractor, with our unique solutions for parts washing and waste management using the EPA ETV verified EQ-1 Wastewater processor.